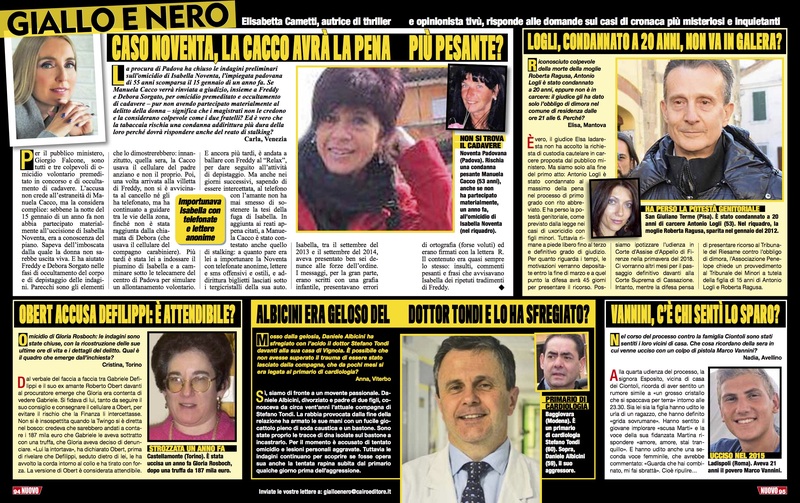 New year, new column of Elisabetta Cametti on the weekly magazine Nuovo (Cairo Editore). What are the most notorious crimes of the week? Discover them with Elisabetta Cametti, who answers readers’ questions on her column Giallo e Nero (5/01/2017).